The weather in the greater New York City area has definitely started to take a turn towards classic autumn: colder winds, rainy days, and of course, the ever-shortening amount of daily sunlight. Still, speaking to Honeyblood front woman, Stina Tweeddale, on a call from her home in Glasgow, it’s like talking to someone living in the seasonal future, as she enthusiastically describes her plans to put a fire on while drinking some hot tea. “Autumn is here [and] it’s totally my favorite [season! ]” It’s good to hear Tweeddale in such bright spirits, as some brief vocal troubles had recently befallen her, putting a damper on some touring about the UK she and drummer, Cat Myers, had been doing into the beginning of this month. Thankfully, the two have had a respite of time at home before departing for their return to the states tomorrow, to start touring in Baltimore, MD next week. It’s been close to two years since the crunch pop band crossed the pond in support of their eponymous debut (2014, FatCat Records) and in that span of time, Honeyblood has taken on more and more notice from music lovers and industry folk both. 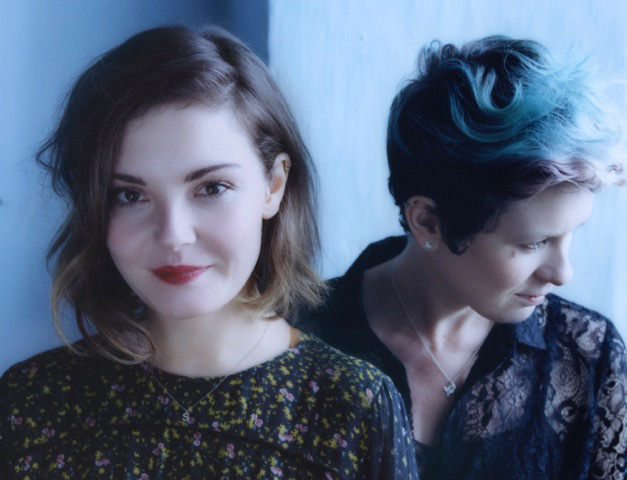 These progressions are clearly evident through the many acts with whom the pair have since toured – We Were Promised Jetpacks, Deap Vally, Courtney Barnett, and iconic rockers, the Foo Fighters, to name a few – and the increasing amount of places where Honeyblood’s tunes can be found taking a spin. The interesting flip side to this coin however, is that despite the expanding recognition and reception, Tweeddale expresses more commitment than ever to a mentality that is all about staying true to oneself and keeping on the path of one’s aspirations – no matter how many naysayers or how much negativity falls in the road. Relating this philosophy to specifics from their last tour, Tweeddale gives highlight to the surprising nature of the shocked reactions from industry folk with regard to her and Myers’ decision to showcase more, rather than less, material from upcoming release, Babes Never Die (FatCat Records, 2016). When it finally did come time for Babes Never Die to get laid down properly, it was James Dring (Blur, The Gorillaz, Jamie T.) who was tapped to sit in the producer’s chair and his combination of guidance, technical know-how and, stylistic signature brought both newness to Honeyblood’s sound and a precise display of the artistic concepts floating between Tweeddale’s ears. Speaking of worry, that’s one thing that Tweeddale makes a point not to go back to doing, despite it nearly consuming her mind in the beginning stages of creating for Babes Never Die. Giving herself permission to let go makes the end results feel all the more pure and genuine to what makes Honeyblood one-of-a-kind. The whirlwind tour Myers and Tweeddale are tackling while here in the U.S. is going to be intense for sure . However, unlike past visits to the states, the Scottish rockers will have a bit of extra time on their hands. Whether or not Honeyblood find tricks or treats on this tour is anyone’s guess. However, there’s something charmingly fitting about Tweeddale’s love of all things hot and spicy, since this Scottish duo is only continuing to light up any and all places they play, with a fiery individuality channeled into this dark and eerie album and it definitely doesn’t look to burn out anytime soon. Babes Never Die comes out through FatCat Records on 28 October 2016 in the US and 4 November 2016 in the UK. 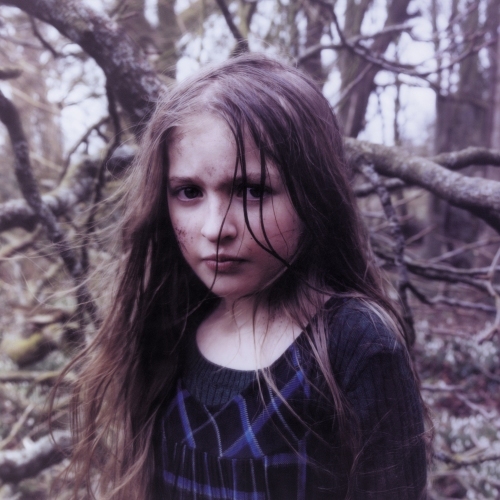 Pre-orders are available now through Honeyblood’s official shop and iTunes. See Honeyblood live at Baby’s All Right in Brooklyn, NY on 26 October 2016. Full list of US tour dates is below. UK Arts: Will they get off “Scot free?” Yes and no.